See Islamic theology for Islamic schools of divinity; see Aqidah for the concept of the different "creeds" in Islam; see Ilm al-Kalam for the concept of theological discourse. 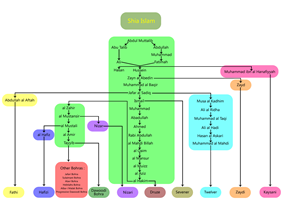 This article summarizes the different branches and various types of schools in Islam. There are three types of schools in Islam: Schools of Islamic jurisprudence, Islamic schools of Sufism better known as Tasawwufī-tārīqat and Aqidah schools of Islamic divinity. While all branches recognize the Qur'an, they differ in which other authorities they acknowledge. In the beginning Islam was divided into three major sects. These political divisions are well known as Sunni, Shi'a and Kharijites. Each sect developed several distinct jurisprudence system reflecting their own understanding of the Islamic law during the course of the History of Islam. For instance, Sunnis are separated into five sub-sects, namely, Hanafi, Maliki, Shafi'i, Hanbalites and Ẓāhirī. Shi'a, on the other hand, was first developed Kaysanites and in turn divided into three major sects known as Fivers, Seveners and Twelvers. Qarmatians, Ismailis, Fatimids, Assassins of Alamut and Druses were all emerged from the Seveners. Isma'ilism later split into Nizari Ismaili and Musta’li Ismaili, and then Mustaali was divided into Hafizi and Taiyabi Ismailis. Moreover, Imami-Shi'a later brought into existence Ja'fari jurisprudence. Akhbarism, Usulism, Shaykism, Alawites and Alevism were all developed from Ithna'asharis. Similarly, Khawarij was initially divided into five major branches as Sufris, Azraqis, Najdat, Adjarites and Ibadis. Among these numerous sects, only Hanafi, Maliki, Shafi'i, Hanbali, Imamiyyah-Ja'fari-Usuli, Nizārī Ismā'īlī, Alevi, Zaydi, Ibadi, Zahiri, Alawite, Druze and Taiyabi communities have survived. In addition, some new schools of thought and movements like Quranist Muslims, Ahmadi Muslims and African American Muslims were later emerged independently. Shia Islam (شيعة Shia, sometimes Shi'a; adjective "Shia"/Shi'ite), is the second-largest denomination of Islam, comprising 10-13% of the total Muslim population in the world. Shia Muslims, though a minority in the Muslim world, constitute the majority of the populations in Azerbaijan, Bahrain, Iran, and Iraq, as well as a plurality in Lebanon. 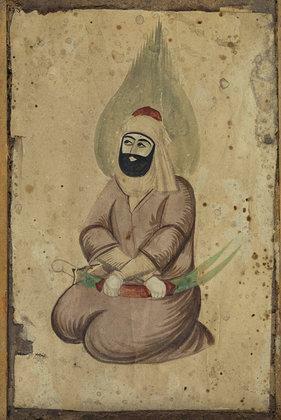 In addition to believing in the authority of the Qur'an and teachings of Muhammad, Shia believe that Muhammad's family, the Ahl al-Bayt (the "People of the House"), including his descendants known as Imams, have special spiritual and political rule over the community and believe that Ali ibn Abi Talib, Muhammad's cousin and son-in-law, was the first of these Imams and was the rightful successor to Muhammad, and thus reject the legitimacy of the first three Rashidun caliphs. According to Shia Muslims community, one of the lingering problems in estimating Shia population is that unless Shia form a significant minority in a Muslim country, the entire population is often listed as Sunni. The reverse, however, has not held true, which may contribute to imprecise estimates of the size of each sect. For example, the 1926 rise of the House of Saud in Arabia brought official discrimination against Shia. Similarly, after the forced conversion of Sunnis to Shias during the Safavids' rule, anti-Sunni sentiments and persecution have remained in Iran where they are often not allowed to pray or build mosques. Twelvers believe in twelve Imams. The twelfth Imam is believed to be in occultation, and will appear again just before the Qiyamah (Islamic view of the Last Judgment). The Shia hadiths include the sayings of the Imams. Many Sunni Muslims criticise the Shia for certain beliefs and practices, including practices such as the Mourning of Muharram (Mätam). They are the largest Shia school of thought (93%), predominant in Azerbaijan, Iran, Iraq, Lebanon and Bahrain and have a significant population in Pakistan,India,Afghanistan Kuwait and the Eastern province of Saudi Arabia. The Twelver Shia are followers of either the Jaf'ari or Batiniyyah madh'habs. The Ismailis and Twelvers both accept the same initial Imams from the descendants of Muhammad through his daughter Fatima Zahra and therefore share much of their early history. However, a dispute arose on the succession to the Sixth Imam, Ja'far al-Sadiq, who died in 765 CE. The Ismailis accepted Ja'far's eldest son Ismā'īl (ca. 719- ca.755) as the next Imam, whereas the Twelvers accepted a younger son, Musa al-Kazim. As of 2015, Ismā'īlīs are concentrated in Pakistan and other parts of South Asia. The Nizārī Ismā'īlīs, however, are also concentrated in Badakhshan (mainly, Gorno-Badakhshan Autonomous Region of Tajikistan), Central Asia, Russia, China, New Zealand, Afghanistan, Papua New Guinea, Syria, Australia, North America (including Canada), the United Kingdom, Bangladesh and in Africa as well. Their total population is around 13 to 16 million (excluding the Druze population) - nearly 1% of the overall world Muslim population - and gets closer to a total of 20 million Ismā'īlīs with the inclusion of the Druzes. The major Kharijite sub-sect today is the Ibadi. The sect developed out of the 7th century Islamic sect of the Kharijites. 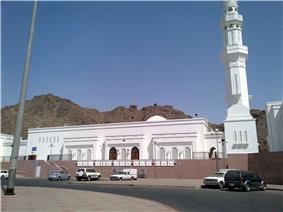 Historians and a majority of Muslims believe that the denomination is a reformed sect of the Khawārij. Nonetheless, Ibadis see themselves as quite different from the Kharijites. Believed to be one of the earliest schools, it is said to have been founded less than 50 years after the death of Muhammad. Sufism in Islam is represented by schools known as Tasawwufī-Ṭarīqah. Sufism is a mystical-ascetic form of Islam. It is not a sect, rather it is considered as the branch of Islamic teaching that deals with the purification of inner self. By focusing on the more spiritual aspects of religion, Sufis strive to obtain direct experience of God by making use of "intuitive and emotional faculties" that one must be trained to use. Tasawwuf is regarded as a science of Islam that has always been an integral part of Orthodox Islam.In his Al-Risala al-safadiyya, Shaykh Ibn Taymiyya describes the Sufis as those who belong to the path of the Sunna and represent it in their teachings and writings. The Bektashi Order was founded in the 13th century by the Islamic saint Balım Sultan in the 16th century. Because of its adherence to the Twelve Imams it is classified under Twelver Shia Islam. Bektashi are concentrated in Turkey and Albania and their headquarters are in Albania. The Chishti Order (Persian: چشتیہ‎‎) was founded by (Khawaja) Abu Ishaq Shami ("the Syrian"; died 941) who brought Sufism to the town of Chisht, some 95 miles east of Herat in present-day Afghanistan. Before returning to the Levant, Shami initiated, trained and deputized the son of the local Emir (Khwaja) Abu Ahmad Abdal (died 966). Under the leadership of Abu Ahmad’s descendants, the Chishtiyya as they are also known, flourished as a regional mystical order. The founder of the Chishti Order in South Asia was Moinuddin Chishti. 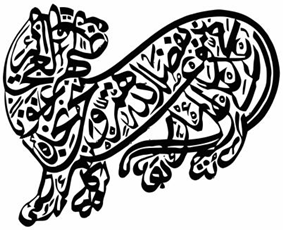 Mahdavi Islam (Arabic: مهدوي اسلام‎) is a sect within Islam founded by Syed Muhammad Jaunpuri in India in the 15th century CE. 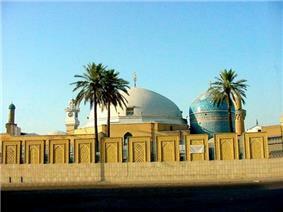 Jaunpuri declared himself to be the Imam Mahdi, the prophesied redeemer in Islam, and the denomination takes its name from the term Mahdi ("guided"). Mahdi e Maud (The Promised Mehdi) is believed to have said "Mazhab ma Kitab Allah (Qu'ran) wa Ittebah e Rasool Allah (Muhammad)." Mahdavia was emerged as a consequence of Jaunpuri's declaration of himself to be the Hidden Twelfth Imam of the Ithnā‘ashariyyah madhhab, the prophesied redeemer in Ithnā‘ashariyyah Shia Islam, while on a pilgrimage to Mecca in 1496 (AH 901), in a similar fashion to Báb-Siyyid `Alí Muḥammad Shírází's declaration of Bábí faith at the Kaaba. The Mahdavi regard Jaunpuri as the Imam Mahdi, the Caliph of Allah and the second most important figure after the Islamic prophet Muhammad. Both the prophet and imam are considered to be masum (معصوم "infallible") Mahdavis follow the doctrine of Ahle Sunnat Wal Jamaat.They strictly adhere to the five pillars of Islam. About five million Mahdavis populated in Indian states of Tamil Nadu, Karnataka, Andhra Pradesh, Telangana, Maharashtra, Gujarat, Rajasthan, and also in the Pakistani provinces of Sindh and Balochistan. The conception of Naqshbandi may require more elaboration and clarity as the explanation to this effect creating ambiguity and complicity with in it. 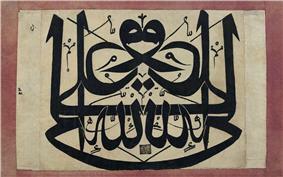 The meanings of "Naqshbandi" is to follow the pattern of head of the former. In other words, "Naqshbandi" may be taken as "followup or like a flow chart" of practices exercised by the head of this school of thought. 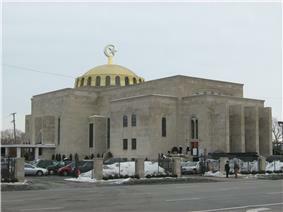 Khālidīyyā Sufi Order is a branch of the Naqshbandiyya Sufi Silsilat al-dhahab. It begins from the time of Khalid al-Baghdadi and continues until the time of Shaykh Ismail ash-Shirwani. Nowadays İsmailağa and İskenderpaşa jamias are the most active branches of Khālidī Ṭarīqah in Turkey. Sülaymānī Ṭarīqah is an off-shoot of Naqshbandi Islamic Ṭarīqah founded by Sülaymān Hilmi Silistrevī in Turkey. 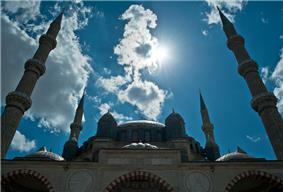 It was estimated that there were more than two million followers in Turkey in the early 1990s. They are the most active branch in the private Hāfīz education in Turkey. Haqqānīyyā Ṭarīqah is an off-shoot of Naqshbandi Islamic Ṭarīqah founded by Shaykh Nazim al-Qubrusi in order to spread the Sufi teachings and the Unity of belief in God that is present in all religions and spiritual paths as announced by its official website. Qadian rooftop and Minarat'ul Masih and Masjid Mubarak. Ahmadiyya adherents believe that  The Ahmadiyya Community is the larger community of the two arising from the Ahmadiyya movement and is guided by the Khalifa (Caliph), currently Khalifatul Masih V, who is the spiritual leader of Ahmadis and the successor to Mirza Ghulam Ahmad. He is called the Khalifatul Masih(successor of the Messiah). . The Moorish Science Temple of America is an American organization founded in 1913 AD by Prophet Noble Drew Ali, whose name at birth was Timothy Drew. He claimed it was a sect of Islam but he also drew inspiration from Buddhism, Christianity, Gnosticism and Taoism. Its significant divergences from mainstream Islam and strong African-American ethnic character make its classification as an Islamic denomination a matter of debate among Muslims and scholars of religion. The Nation of Islam was founded by Wallace Fard Muhammad in Detroit in 1930, with a declared aim of "resurrecting" the spiritual, mental, social and economic condition of the black man and woman of America and the world. The group believes Fard Muhammad was God on earth, a belief viewed as shirk by mainstream Muslims. It does not see Muhammad as the final prophet, but Elijah Muhammad as the "Messenger of Truth" and only allows people of black ethnicity and believes they are the original race on earth. United Nation of Islam was founded in 1978 by Royall Jenkins, who remained as a member of Nation of Islam until after the death of Elijah Muhammad but later split from the organization in 1978. Hispanic Muslims are the Latino Americans who are of the Islamic faith. They are an ethno-linguistic group of citizens of The United States with origins in the countries of Latin America or the Iberian peninsula. The organizations of Latino Muslims include the Latino American Dawah Organization and Alianza Islámica. The Alianza Islámica is the oldest Latino Muslim organization in the United States. It was founded in 1975 by a group of Puerto Rican Islamic converts. Other Latino Muslim organizations include the La Asociación Latino Musulmana de América (LALMA), Latino Muslims of Chicago, the Latino Muslim Association of the San Fernando Valley (LMASFV), Alameda Islamica: Latino Muslims of the Bay Area, PIEDAD, the Atlanta Latino Muslim Association (ALMA), and IslamInSpanish. The Murjites exited the way of the Sunnis when they declared that no Muslim would enter the hellfire, no matter what his sins. This contradicts the traditional Sunni belief that some Muslims will enter the hellfire temporarily. Therefore, the Murjites are classified as Ahlul Bid'ah or "People of Innovation" by Sunnis, particularly Salafis. Islamism is a term that refers to a set of political September 11, 2001 attacks and perhaps the most prominent; and the Muslim Brotherhood, the largest and perhaps the oldest. Although violence is often employed by some organizations, most Islamist movements are nonviolent. ^ "Quran Online". Retrieved 20 July 2015. ^ ZAHEER, KHALID (Jan 17, 2014). "Sectarian scourge". DAWN. Retrieved 20 July 2015. ^ "Mapping the Global Muslim Population: A Report on the Size and Distribution of the World's Muslim Population". ^ Miller, Tracy, ed. (October 2009). Mapping the Global Muslim Population: A Report on the Size and Distribution of the World's Muslim Population (PDF). ^ Saeed Kamali Dehghan (31 August 2011). "Sunni Muslims banned from holding own Eid prayers in Tehran". ^ Halm, Heinz (2004-07-21). Shi'ism. Edinburgh University Press. p. 154. ^ Nasr, Seyyed Hossein (2007). The Garden of Truth. New York, NY: HarperCollins. p. 195. ^ "Localising Diaspora: the Ahmadi Muslims and the problem of multi-sited ethnography". Association of Social Anthropologists, 2004 conference panel. ^ Naeem Osman Memon (1994). Claims of Hadhrat Ahmad. Islam International Publications. ^ B.A Rafiq (1978). Truth about Ahmadiyyat, Reflection of all the Prohets. London Mosque. ^ Marc Sageman (21 September 2011). Understanding Terror Networks. University of Pennsylvania Press. pp. 61–. ^ Jonathan Matusitz (16 September 2014). Symbolism in Terrorism: Motivation, Communication, and Behavior. Rowman & Littlefield Publishers. pp. 172–. ^ Vincenzo Oliveti (January 2002). Terror's Source: The Ideology of Wahhabi-Salafism and Its Consequences. Amadeus Books. ^ Brigadier V P Malhotra (Retd) (14 July 2011). Terrorism and Counter Terrorism in South Asia and India: A Case of India and her neighbours. Vij Books India Pvt Ltd. pp. 70–. ^ Christopher L. Miller (3 January 2013). The Gülen Hizmet Movement: Circumspect Activism in Faith-Based Reform. Cambridge Scholars Publishing. pp. 2–. ^ "The Turkish exception: Gallipoli, Gülen, and capitalism". Australia's ABC. Radio National. 31 August 2013. Retrieved 3 September 2013. ^ Turkish Islamic preacher - threat or benefactor? ^ Wiktorowicz, Quintan. "Anatomy of the Salafi Movement" in Studies in Conflict & Terrorism, Vol. 29 (2006): p. 235, footnote. ^ Mahdi, Wael (March 18, 2010). "There is no such thing as Wahabism, Saudi prince says". The National. Abu Dhabi Media. Retrieved 12 June 2014. ^ Commins, David (2009). The Wahhabi Mission and Saudi Arabia. I.B.Tauris. p. ix. Thus, the mission's devotees contend that "
A Muwahhid Muslim is a Muslim who gives emphasis to the concept of tawhid. Their beliefs insinuate that the oneness of God is the most important Muslim creed. They view deviation from tawhid whether in the form of the trinity, materialism or idolatry as very sinful. Nowadays, this term is being frequently used by Druses and Wahhabis in order to define their tawhid aqidah. 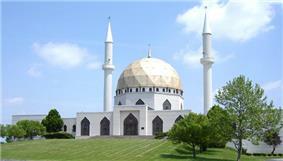 Non-denominational Muslims are Muslims who do not adhere to any specific sect of Islam. Such Muslims may visit any mosque regardless of its sectarian affiliation. Their beliefs may overlap with those of multiple Muslims. Fethullah Gülen advocates cooperation between followers of different religions as well as those practicing different forms of Islam such as Alevi and Sunni in Turkey. Gülen movement participants have founded a number of institutions across the World that claim to promote interfaith and intercultural dialogue activities. Among them the major ones are Istanbul based Journalists and Writers Foundation, Washington, D.C. based Rumi Forum, and New Delhi based Indialogue Foundation. In addition, London Centre for Social Studies (LCSS) was founded in 2004 by a diverse group of Gülen movement academics to generate thinking and debate amongst academics, activists, policy makers, practitioners, media and civil society organisations both at the national and international level. As a non-profit independent research organisation, LCSS uses social science research tools to address major social, political and economic issues such as migration, social cohesion, subjectivity, education, gender, human rights in a critical way. Students from Senegal in the Fifth Turkish Language Olympiads. The Jamaat-e-Islami is an Islamist political party in the India (Jamaat-e-Islami Hind), Bangladesh (Jamaat-e-Islami Bangladesh), Kashmir (Jamaat-e-Islami Kashmir),and Sri Lanka, and there are "close brotherly relations" with the Islamist movements and missions "working in different continents and countries", particularly those affiliated with the Muslim Brotherhood or Akhwan-al-Muslimeen. The JI envisions an Islamic government in Pakistan and Bangladesh governing by Islamic law. It opposes Westernization—including capitalism, socialism, or such practices as bank interest, and favours an Islamic economic order and Caliphate. 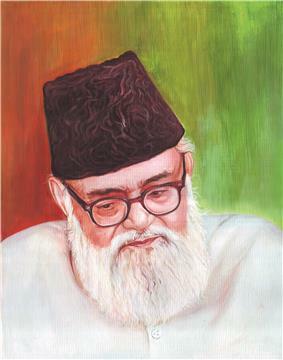 Abul Ala Maududi, the founder of Jamaat-e-Islami. The Ahl al-Hadith is a movement started in the mid-nineteenth century in Northern India. 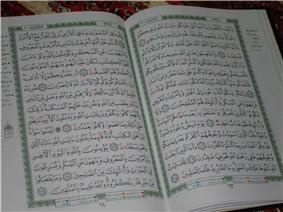 It refers to the adherent's belief that they are not bound by taqlid (as are Ahl al-Rai, literally "the people of rhetorical theology"), but consider themselves free to seek guidance in matters of religious faith and practices from the authentic hadith which, together with the Qur'an, are in their view the principal worthy guide for Muslim. Followers call themselves as Ahl al-Hadith or Salafi. The term Ahl al-Hadith is often used interchangeably with the term Wahhabi, or as a branch of the latter movement, though the movement itself claims to be distinct from Wahhabism. Wahhabi movement is recently revived by the 18th century teacher Sheikh Muhammad ibn Abd-al-Wahhab in the Arabian peninsula, and was instrumental in the rise of the House of Saud to power. The terms "Wahhabi movement" and "Salafism" are often used interchangeably, although the word "Wahhabi" is specific for followers of Muhammad ibn Abd-al-Wahhab. The works of scholars like Ibn Taymiyya, Ibn al Qayyim and Muhammad bin Abdul Wahhab are used for religious guidance. Critics claim that Muslim Terrorism is the direct offshoot of the fanatical Islamic cult known as Wahabism, which runs Mecca and believes in the destruction of non Islamic cultures and is financed by Saudi Arabia.